Big Island police are searching for a 61-year-old woman reported as missing from Volcano. 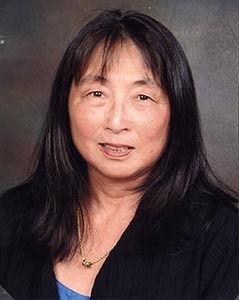 Vera [corrected name] Matsuda-Brownlea was last seen at Cooper Center around 1 p.m. Wednesday (June 23). She is described as Asian, 4-foot-10, 100 pounds with long black hair, brown eyes and a black spot on her right forehead. She was last seen wearing a white blouse, a blue denim jacket, denim jeans cut slightly blow the knees, black stockings and black shoes. Police ask that anyone with information on her whereabouts call Detective Wendall Carter at 961-2378 or the Police Department’s non-emergency line at 935-3311. Tipsters who prefer to remain anonymous may call Crime Stoppers at 961-8300 in Hilo or 329-8181 in Kona. All Crime Stoppers information is kept confidential.